Are You Ready To Live With Purpose? Imagine Learning What You Need to Know about “Living With Purpose” and being able to work through the process of figuring out how to do just that over the course of 30 Days. 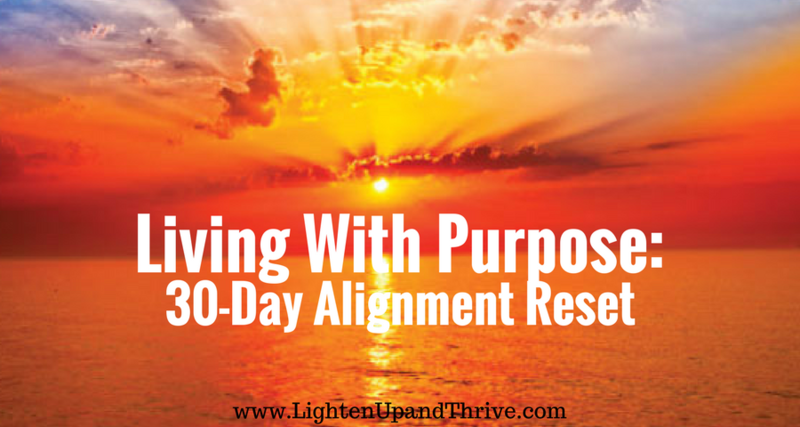 Our Living With Purpose: 30-Day Alignment Reset in now on demand! Everyday is a great day to start! It is facilitated by Soul Coaches® Gretchen Hogg and Jerri Eddington. You can learn more about them here. We have created two options for joining our Living With Purpose Program. Here’s a quick rundown of the topics. 1. What Does It Mean To Live With Purpose? 9. Do You Know What’s Sucking Up Your Time? 12. How Much Time Are You Spending On Facebook? 29. What Do You Want To Be Remembered For? is now on demand. Everyday is a great day to start! We are so excited to support you on this journey.